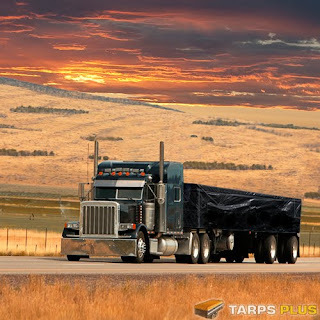 In numerous places, you will find that the law requires you to cover your truck with a flatbed truck tarps to ensure that the items you were carrying in the back of your vehicle can not inadvertently fall off your vehicle causing damage or injuries. Having a tarp such as this also offers the user longevity to their vehicle since it also protects the vehicle from the affects of weather conditions. Whether you are dealing with your own personal truck or commercial drivers you may want to consider looking at what we have to offer. Our products are made with super heavy duty materials and we ensure the highest standards. The truck tarps are made up of a thick poly material that is superb for those drivers who require material that is both lightweight yet very durable allowing it to last even during long distance trips. Our products offer the consumer D-shaped rings that have become a favorite of many of our customers sent it offers them the stability they need in the material during a long-haul. This design with triple stitching, incorporated into it is able to withstand a great deal of rough usage. The tarps come in a variety of colors including not only black, blue, white, green, brown, camouflage, yellow, red as well as silver. We also offer a number of different materials including canvas, vinyl, and clear, insulated as well as specialty or custom made products. Our items are offered to our consumer, either by the case or simply through single purchases. Clients also enjoy incredible discounts when they make a bulk purchase. Regardless of what type of truck you are covering it is very likely we have something to suit your needs. We cater to not only regular trucks, but commercial dump trucks as well as asphalt trucks so if there is something that you need simply contact us and we will be happy to help you choose a product that is right for you or your company.